Back to September, 10 2012, Nokia Announced some exclusive applications will coming to Nokia Lumia including "World of Red Bull" application, the dedicated application for sport lover & red bull fans. 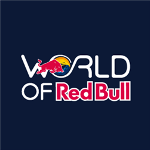 "World of Red Bull" application is now available for free only for All Nokia Lumia smartphones with Windows Phone 7,5 and 8.
" This app is your window to the World of Red Bull - a world full of adrenaline, entertainment, passion and lifestyle. Enjoy an infinite loop of behind-the-scene news, updates and content featuring Red Bull sports and culture events, festivals, music highlights, background stories from Red Bull athletes and teams, a comprehensive media section with videos and downloads and much much more. " World of Red Bull v 1.1.0.